What are the differences between SNMP v1, v2, and v3? "Do You Understand SNMPv1, SNMPv2c, And SNMPv3?" Struggling through an SNMPv3 transition? If you've been mandated to use only secure/encrypted SNMPv3, you need a way to avoid replacing all of your v1/v2c SNMP gear. A mediation device allows you to do that. You can keep your older gear and add SNMPv3 security. Just need a tutorial on SNMP versions? 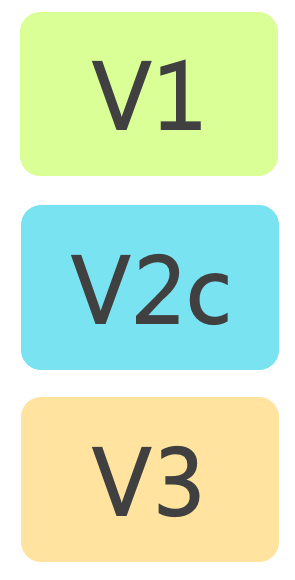 The quick summary below will help you understand how SNMP v1, v2c, and v3 differ. This material is drawn from the SNMP Tutorial White Paper. That's recommended reading if you want to learn about SNMP quickly. NOTE: Not all devices are SNMPv2c compliant, so your SNMP manager should be downward compatible with SNMPv1 devices. You can also use an SNMPv3 mediation device to ensure compatibility. The NetGuardian 832A is one RTU that supports SNMPv3.